Dr. Christopher Harle is an associate professor in the Department of Health Policy and Management. He is also an Investigator in the Regenstrief Institute's Center for Biomedical Informatics and an associate faculty in the Kelley School of Business. He holds an MS in decision and information sciences from the University of Florida’s Warrington College of Business Administration and a PhD in information systems and management from Carnegie Mellon University’s H. John Heinz III College. Dr. Harle’s research focuses on the design, adoption, use, and value of health information systems. His primary interest is in understanding how information technology-mediated communication tools affect consumer, patient, and provider decisions and behavior. 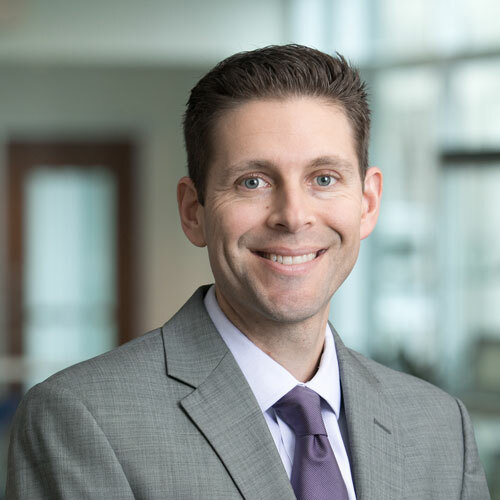 Recently, with funding from Pfizer, the National Institutes of Health (NIH), and the Agency for Healthcare Research and Quality (AHRQ), his research has focused on developing clinical decision support tools to support primary care clinicians in chronic pain care and opioid prescribing. Other recent research, funded by the NIH, focuses on developing interactive electronic informed consent processes for obtaining broad consent from patients to share their electronic health records for research studies. Co-I. Advancing Privacy-Preserving Record Linkage Methods in the Context of Real-World Data Networks & HIE. Patient-Centered Outcomes Research Institute (PCORI). $1,027,578. 2018-2021. (PI Grannis). PI, R21DA046085. (R21/R33). Nudging Primary Care Providers toward Guideline-Recommended Opioid Prescribing through Easier and More Convenient EHR Information Design. National Institute on Drug Abuse (NIDA). 2017-2022. PI, R01HS023306. Designing User-Centered Decision Support Tools for Primary Care Pain Management. Agency For Healthcare Research and Quality (AHRQ). 2015 – July 2019. Militello LG, Anders S, Downs SM, DiIulio J, Danielson EC, Hurley RW, Harle CA. Understanding how primary care clinicians make sense of chronic pain. Cognition Technology and Work. 2018. 20(4): 575-584. Harle CA, Danielson E, Derman W, Stuart M, Dvorak J, Smith L, Hainline B. Analgesic Management of Pain in Elite Athletes: A Systematic Review. Clinical Journal of Sports Medicine. 2018, 28(5): 417-426. Harle CA, Golembiewski EH, Rahmanian KP, Krieger JL. Hagmajer D, Mainous AG III, Moseley RE. Patient Preferences toward an Interactive E-Consent Application for Research Using Electronic Health Records. Journal of the American Medical Informatics Association. 2018, 25(3): 360-368. Apathy, NC, Menser, T; Keeran, L; Ford, EW, Harle, CA, Huerta, TR. Trends and gaps in awareness of direct-to-consumer genetic tests from 2007-2014. American Journal of Preventive Medicine. 2018, 54(6): 806-813. Harle CA, Marlow NM, Schmidt SOF, Shuster JJ, Listhaus A, Fillingim RB, Hurley RW. The Effect of EHR-Integrated Patient Reported Outcomes on Satisfaction with Chronic Pain Care. American Journal of Managed Care. 2016, 22(12): e403-e408. Harle, CA, Lipori G, Hurley RW. Collecting, Integrating, and Disseminating Patient-Reported Outcomes for Research in a Learning Healthcare System. eGEMs (Generating Evidence & Methods to improve patient outcomes). 4(1), Article 13. Harle CA, Listhaus A, Covarrubias C, Schmidt SOF, Mackey S, Carek PJ. Fillingim RB, Hurley RW. Overcoming Barriers to Implementing Patient-Reported Outcomes in an Electronic Health Record: A Case Report. Journal of the American Medical Informatics Association. 2016, 23: 74-79. Harle, CA, Vest JR, Menachemi N. Using Bibliometric Big Data to Analyze Faculty Research Productivity in Health Policy and Management. Journal of Health Administration Education. 2016, 33(2): 285-293. Harle, CA, Mullen CJ, Vest JR, Menachemi N. Not only teachers: What do health administration faculty members do? Journal of Health Administration Education. 2016, 33(2): 235-251. Harle CA, Bauer SE, Hoang HQ, Cook RL, Hurley RW, Fillingim RB. Decision support for chronic pain care: how do primary care physicians decide when to prescribe opioids? a qualitative study. BMC Family Practice. 2015, 16: 48. Harle CA, Cook RL, Kinsell HS, Harman JS. (2014) Opioid Prescribing by Physicians With and Without Electronic Health Records. Journal of Medical Systems. 2014, 38(11). Kitchens B, Harle CA, Li S. Quality of Health-Related Online Search Results. Decision Support Systems. 2014, 57: 454-462. Harle, CA, Huerta T, Ford EW, Diana M, Menachemi N. Overcoming Challenges to Achieving Meaningful Use: Insights from hospitals that successfully received CMS payments in 2011. Journal of the American Medical Informatics Association (JAMIA). 2013, 20(2): 233-237. Harle CA, Downs JS, Padman R. Effectiveness of Personalized and Interactive Health Risk Calculators: a Randomized Trial. Medical Decision Making, 2012, 32(4): 594-605. Menachemi N, Yeager V, Bilello LA, Harle CA, Sullivan C, Siler-Marsiglio K. Florida Doctors Seeing Medicaid Patients Show Broad Interest in Federal Incentives for Adoption Electronic Health Records. Health Affairs. 2011, 30(8): 1461-1470.